Available till December 26th, the boss battles offer a chance at Legendary items and a unique outfit. 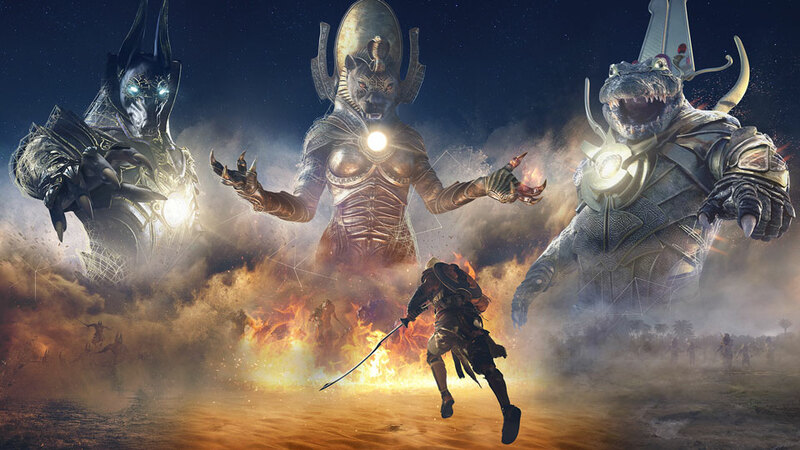 If you haven’t obtained the full collection of Trials of the Gods items from Assassin’s Creed Origins time-limited boss mode, then you’re in luck. The event is currently live and all three entities – Anubis, Sobek and Sekhmet – are available to battle. All three will be available December 26th. Be warned though – these are end-game level boss fights that require some pretty strong and high enough levels to fight. Along with a unique outfit for beating them, each god will also drop a unique weapon – the Conductor of Souls sword, Was Scepter, Tomb Protector shield and Scales of Truth bow. If you collect all four pieces of the Anubis set, then the outfit will also be available as well. A community challenge is also live which has a set number of kills required from players on a platform to unlock the Sunslayer Sword. PS4 players have to hit 275,000 kills, Xbox One players require 175,000 kills; and PC players need 75,000 kills overall. And yes, winning over the gods more than once will be counted.